Good day, ladies and gentlemen. Thank you for joining us today. Welcome to the Turquoise Hill Resources Q1 2015 financial results held on May 12, 2015. I would like to turn the call over to Jessica Largent. The call is being recorded and will be available later today for replay. Please go ahead. Thank you, Kummel [ph]. I want to welcome you to our financial results conference call. Yesterday we released our first quarter 2015 results press release, MD&A and financial statements. These items are available on our Web site and SEDAR. Thank you, Jess. As we enter Turquoise second full year production operations continue to improved and progress. Over the past several months have made multiple trips to Mongolia and have also met with the number of our large investors. I continue to believe that management and all shareholders have unified goal of delivering value for Turquoise show with hinges on a number of components. One of those components is solid financial and operational performance which we will discuss today. Today I'll start things by providing a high level view of our first quarter result, I will then turn the call over to Steve, who will address the financials and then Stewart will cover off operations. Frequency Rate of 0.25 per 200,000 hours worked. I would like to command the Oyu Tolgoi team. Second, first quarter revenues in concentrate shale were down compared to the fourth quarter of 2014. This was expected due to lower quarterly production and head grades. First quarter sales were impacted by the Lunar New Year holiday in February. That said concentrate sales exceeded production for the quarter and our cash flow from operations is more than a $100 million. Also during the quarter, Oyu Tolgoi achieved the milestone of shipping their 1 million tonne of concentrate. Third, operational improvements that were initiated during 2014 are starting to take hold. Stewart will discuss this further at a later time. Fourth, we expect to see higher grade ore in the second quarter as we highlighted during our last call. We anticipate the production distribution for 2015 to be similar to last year with level significantly higher in the second half of this year. In the concentrator, Oyu Tolgoi has a planned shutdown expected to take place during July to install the second pebble crusher magnates, this is part of our continuous improvement program. Lastly, I want to speak about the status of the discussions with the government of Mongolia. I'm sure many of you have seen comments in the media by Mongolian officials about the status of Oyu Tolgoi discussions. While significant progress has been made, we have not finalized the comprehensive agreement that would allow underground development to recommence. We continue to believe the unlocking Oyu Tolgoi's value for all shareholders is through developing the underground. All parties are committed to resolving matters and moving forward with the underground. Well, the final agreement has not been reached, I believe good progress has been made and I am optimistically to resolve outstanding matters. On project financing, we continue to engage with a consortium of banks and they remain supportive of the transaction. Current indications are a suitable financing package will be available once we have successfully resolved the outstanding matters. Until we are able to resolve matters and ultimately restart underground development, I think it's important to remember that we have an open pit mine generating positive operating cash flow. At this point I am going to turn the call over to Steve to discuss the financial aspects in more detail. Thank you, Jeff. First I'll take few minutes to discuss the impact of the conversion of U.S. GAAP IFRS then I will discuss Q1 financial results. So beginning January 1st, 2015, we began preparing our financial statements in accordance with the international financial reporting standards or IFRS. Now our MD&A and financial statements, we highlighted the impact of the conversion. Here are some examples, first on the U.S. GAAP, the first stripping is treated as a current production cost, while under IFRS, it is capitalized to mineral property to the extent the benefit future ore extraction. This adjustment impact property plan and equipment or PP&E and also flow through the inventory balances on the balance sheet. The impact as of January 1st, 2014 was an increase of $9.4 million of PP&E. Second, under the U.S. GAAP, the non-current inventory was carried as a lower of costs and on discounted net realized value. Under IFRS, the company value inventory at the lower of costs and discounted net realized value based on cash flow of when the stockpile are expected to be processed. This resulted in a provision against a non-current inventory and corresponding adjustment to repaying earnings at January 1st, 2014 of $104 million. Third, as a result of the IFRS conversion, we also modify the presentation of certain items on the financial statements. Binding royalty are now included with an operating expenses where previously they were netted against revenues. Accretion expense for decommissioning obligations is included within finance costs it was previously shown separately on the page statement of operations. Deferred income tax liabilities from withholding taxes on intercompany interest payments are now classify as non-current deferred income taxes previously included in accounts payable and accrued liabilities. And lastly other U.S. GAAP, in Q4 2014 financial statement, the investment in SouthGobi was consider an investment in the company subject to significant influence. The investment was recognized at fair value as a long-term investment with the non-current asset held for sale. Under IFRS, the company has determined it has the power to control the activities of SouthGobi and has consolidated SouthGobi and the company consolidated financial statement as held for sale and discontinued operation. Moving to Q1 financial results. During the first quarter of 2015, Oyu Tolgoi generated a net revenue of approximately $426 million on sales of approximately 167,000 tonnes of concentrate. Revenue and sales were down over 2014 fourth quarter as expected. This reflects lower production due to reduced head grades. First quarter income attributable to shareholders was $96.2 million, which included a non-cash impairment reversal credit related to SouthGobi investment of approximately $35 million. The cash balance at the end of March was little more than $950 million with an operating cash flow of $105 million for the period. As previously mentioned, these funds are earmarked for underground development. Cash flow expenditure for the quarter totaled approximately $30 million including 27 million of sustaining cash flow. Our cash operating cost guidance for 2015 has increased from $900 million to a billion, an increase of 100 million to consider the IFRS presentation change related to the 5% royalty payable to the government of Mongolia. Previously, the royalty was deducted from revenue and now reflected as a cash operating expense. Lastly, with first quarter we began reporting unit cost data both C1 cash costs and all in sustaining costs. These metrics are impacted by byproduct credits which were substantial in the first quarter due to the high gold content in the concentrates sold. We have provided a reconciliation to cash operating costs and the MD&A for reference. That conclude my comments, I am going to turn it call to Stewart. Thank you, Steve. There were no surprises in the quarter, concentrate productions for Q1 was about 30% lower than Q4 primarily the results of mining lower grade ore swhich was at mining schedule. During the quarter, we completed a most successful shutdown to date; the shutdown was conducted successfully on both SAG mills, reline mills and to undertake other advancements and improvement work. The work was completed on time and with no injuries. More integration is on track with material mined in Q1 about 15% higher than the previous quarter. As Jeff indicated, the mined continues improvement program has really started to gain traction. The program is mostly been low costs modification and other operational improvements. For example quick change initiatives, improved mining coverage to shift change and mill breaks and simple modifications to the track trace to allow them to carry more combined with training and monitoring to ensure that every truck loaded full one. As planned, we started to regain access to the high grades zone in Q2. Encouragingly, we also continue to see a slight positive reconciliation in the open-pit. While the concentrated milling rates increased in Q1 as included started to take effect, there are further improvements planned in the summer shutdown. In particular, some modifications so may be to the pebble crushing circuit that partially results recycle issues which restrict segment rates. Extra magnates will be added to the circuit during the full planned shutdown. We expect that this along with other improvements will improve concentrated throughput. Additionally, amount in mill values in project has been underway looking to optimize such things as loss fragmentation, crusher product size and concentrated performance. We've made some improvements in this space and will continues. For 2015 our guidance remains at 175,000 to 195,000 tonnes for copper and 600,000 to 700,000 ounces in gold and concentrates. Finally, the Mongolian Minister from mining Mr. Jigjid has appointed in experts group and they have started the process of reviewing the modified feasibility study. [indiscernible] 2015 which was submitted in mid-March. We have a series of making of some presentations over the last few weeks and the experts for on-site over the weekend. That concludes my comments, I'll turn it back over to you Jeff. Thanks Stewart. In summary, Oyu Tolgoi delivered solid first quarter results, sales exceeded production for the quarter, cash flow from operations with more than $100 million, operational improvements are starting to take hold and in the second quarter we started mining higher grade ore.
We continue active engagement with the government to resolve outstanding matters and I am confident that we can reach the successful outcome. That concludes our remarks. Kummel we are ready to take questions. [Operator Instructions] The first question is from Orest Wowkodaw from Scotiabank. Please go ahead. I was wondering, if you can help explain how to understand the movements in the shareholder loan accounts. It looks like -- it was 7.8 billion as of the end of 2014 and now it's a 6.9. I see from the disclosure that there was a 150 million payment in Q1, but how do we understand the differences in terms of change of these accounts? This is Oster, is that correct? Orest, sorry about that. This is Jeff, I'm going to turn that over to Steve, he has been working on that very closely. Orest the presentation in the last year was we thinking the two numbers together. The Q1 as a right presentation, we're showing the two numbers separately so we're showing the shareholder loans and we're showing the lending certificates separately. It's something that we've picked about and it was not repay in the last quarter. So there is no increase as you say, there was a payment done but the movement for the shareholder loans would go down, it's just a question of presentation that Q4 was not correct, if I can say this way. Okay. So really you're saying the Q4 balance was should have been something different than the 7.8 to get to the 6.9 today? It was including both including both the shareholder loans and the UT loans as well. They should not have been combined Orest, that's how we're, we should have presented that differently. We have no further questions registered at this time. I would now like to turn the meeting back over to Mr. Jeff Tygesen. Please go ahead. Kummel, just to double check is there any other further questions? We have a follow-up, further question from Craig Hutchison from TD Securities. Please go ahead. Can you give us a sense or what throughput you are actually targeting for this year and how long you anticipate that shutdown to be in July to make the changes to pebble crusher? Craig, this is Jeff. Stewart spending a lot of time on working with the side team, I mean let him respond to that. So we haven't disclosed the rights that we're ask about the other order of 110 tonne a day, through the plant, will be the target before the shutdown. We do see those from time-to-time, I mean it's through the plant there. And the shutdown duration hasn't been finalize yet. And the shutdown work has included in the annual plant, so it's not extra work that we note that there will be – it has taken into consideration and we issue guidance for the year anyway. But it will be of the order of couple of weeks and we noted there will be significant shutdown once a year, we couldn't do a lot of the work in January, because we made it to the shutdown successfully so that we can keep the mills going, at least one of lines going so that we didn't freeze plant. The 110 tonnes per day, are you seeing that's the nominal rate between prior because I think 92% of availability factor to that number? We are aiming to achieve above 110. But at this stage, that's above the desired number, but that will be our expectation of that order on a continuous basis. Is the ore softer than you guys are anticipated or there about some constrains are getting up probably 100,000 tonnes a day given the hardness of the ore? No, so what the time if they're doing a number of things. In particular, looking blast fragmentation. So they're increasing the cost in the pit as blasting to get a final blast coming into the plant. We're also running primary crusher at close gate so when we can that's may be some 6 inches down to 4 inches. So we're providing harder pit. And then there has been a whole series of work around optimizing the control the mills and we do get restricted around the mills because there is the performance of the magnets or what happens is we had a lot of bolts [ph] filing and then bolt seal comes up and then we end up with – the crusher going to bypass it and interrupt with the largest circulating away So at that time, there were some issue whereby modifying the equipment that we stopped and nice improved and has done a hell lot of work to replace to change the bore hardness. So it's going to be tougher bore with little bit [indiscernible] but most likely in the mills. And then all the shutdown all do some major modifications to the magnate. So there has been, doing quite a quantum of work, that's not everything that happened but that's a big chunk of work that's happened and as you said that have a look at the amount of the work but at time it has been pretty aggressive over the last, really the last 6 to 12 months. And so we would hope to see that coming to fruition in the back half of year. We have the follow-up question from Orest Wowkodaw from Scotiabank. Please go ahead. Just wondering if you could provide any color in terms of negotiations with the Mongolian government in terms of what areas are still left to be resolved. I know you want to get into specifics but if you could maybe just provide any color in terms of what's left in order for Phase II to move forward? Orest, this is Jeff, I'll fill that question. As you may or may not know, we've been in discussions for a period of time. And what we're trying to conclude and finalize our some of the more technical questions related to stabilization of the original investment agreement with relation to tax. And that's where the times being spent is to make sure and I think the Prime Minister has quoted recently as saying that "his technical team needs to make sure the agreements that we reach are sustainable for a long period of time and then we just don't reach an agreement and then find a technical issue that might crop up later. So it's spending their time and that level of detail to ensure that basically all that's crossed eyes dotted but it's getting into the details of the tax calculation. And as it your view that if ones the tax sort of agreement is stabilized that the other issues are relatively minor in terms of other left to be resolved or? They were no real minor issues but we've been able to work through those and reach understandings on those. And I want to point out that it's a package not just one time that we move on that a collective package. So I think all the items when we start at the initial discussions were something that we could achieve agreement on and we're just getting it down to those last few that required a little more time and as everybody knows it takes a lot of time with the tax guys. Is it your expectation that you would be in position to reach a final agreement three months from now when we have your two call? I've been hopeful for a while. I would say and characterize that both sides are working very hard and it's in everybody's best interest to do at sooner than later. But I wouldn't wanted pick a date and say this is it because, the likelihood of hitting that date I would be wrong it could be earlier or it could be later but that day I know I would be wrong. We have no further questions registered at this time. I would now like to turn the meeting back over to Mr. Tyegsen. Please go ahead. Well, I'd like to thank you for joining us on today's call. Operations at Oyu Tolgoi continue to improve and we should begin to see higher grade ore process beginning in the second quarter. I am confident that matters with the Mongolian government will be successfully resolved. Again thank you for joining us and that concludes the call. Thank you. The conference has now ended. Please disconnect your lines at this time. And we thank you for your participation. May 12 (Bloomberg) -- SouthGobi Resources Ltd., a Mongolian coal miner, posted a first-quarter loss and warned that it may face insolvency if a 35 billion tugrik ($18 million) fine for tax evasion isn't overturned. The miner made a $16.6 million loss from operations in the three months ended March 31, compared with a $16.7 million loss in the same period a year ago. SouthGobi is currently awaiting confirmation from the Supreme Court of Mongolia on whether it will hear an appeal by the company on the fine, which is related to a case that saw three former employees jailed for tax evasion. They were released earlier this year after a presidential pardon. The fall in commodity prices is also adding to the company's woes. The average realized selling price for a ton of coal fell to $12.66 in the first quarter from $19.54 in the same period a year earlier. SouthGobi "continues to operate under difficult market conditions," due to weakening prices in China, it said in the statement. "The company anticipates that coal prices in China will remain under pressure in 2015, which will continue to impact the company's margins and liquidity." Restrictions placed on some SouthGobi assets due to orders by Mongolia's Independent Authority against Corruption could result in a default on a $250 million China Investment Corp. loan. A default on the CIC debentures could also occur if SouthGobi is unable to secure additional financing, according to the statement. SouthGobi shares fell 5 percent to HK$5.51 as of the noon trading break in Hong Kong. My name is Elliott and I'll be your conference operator today. Thank you for participating in the First Quarter Results Conference Call for SouthGobi Resources Ltd. [Operator Instructions]. Please note that today's discussion may contain forward-looking statements. Please refer to SouthGobi's May 11, 2015 press release and management discussion and analysis relating to SouthGobi's first quarter results for the risks associated with forward-looking statements that may be made in today's discussion. I would now like to turn the call to Chief Financial Officer of SouthGobi Resources, Bertrand Troiano. Please proceed. Thank you. Good evening North America and good morning in Hong Kong and welcome to SouthGobi's first quarter results conference call. Joining me today is Ted Chan, Executive Director of SouthGobi Resources. He will be speaking to you later. I will first provide you with an overview of the key developments in the first quarter of 2015 and key subsequent events as of March 31st followed by the financial highlights. Ted will then discuss about the outlook for the company, there will time for questions at the end of the session. I will start with safety which is as always our priority. I'm pleased to report that SouthGobi continues to maintain a strong track record, with no lost time injury year-to-date 2015. The lost time injury frequency rates at March 31st was 0.25 per 200,000 man-hours, based on the rolling 12 months average. Moving on to operations, we continue to operate under a challenging market conditions, as demand and prices weakened further in China. During the first quarter of 2015 the company sold exclusively from its existing coal stockpiles and mining operations were curtailed to preserve liquidity. Following the execution of new sales contracts the company's recent mining operations on March 30, and production has ramped up smoothly since then. The company will continue to pace it's production to meet demand. Regarding the tax investigation case in Mongolia, on February 18th, the company appealed a tax verdict on the grounds that it prepared its financial statements in compliance with IFRS and launched all its tax returns in the required format under Mongolian tax law. The hearing of the appeal took place on March 25th, the appeal court decided to uphold the initial verdict and dismiss the company's appeal. We have now launched an appeal with the Supreme Court of Mongolia against this initial verdict and the dismissal of its first appeal. The Company is presently waiting confirmation from the Supreme Court as to whether they will hear the case. We again firmly reject the verdict and the associated tax penalty of approximately $18 million and we will continue to vigorously defend ourselves to the further appeal process. Concerning our financing strategy, we successfully completed a private placement with Novel Sunrise and raised $7.5 million in March and April. Novel Sunrise now holds 29.3% of the company's share capital. The implementation of the funding plan that we have developed with Novel Sunrise and securing additional sources of financing remain key priority for us in order to reestablish appropriately liquidity levels for the company. We will discuss this is further detail later on this present. Now I would like to take a few moments with you to discuss the situation in the coal markets. China's coal markets continue to deteriorate in the first quarter suffering from a softening of demand coupled with over capacity. In parallel during that period global medco markets remained over supplier further suppressing spot prices. Key coking coal price indices in China dropped between 4% and 10% in the first quarter of 2015 compared to the previous quarter. Coming into April prices hit an 8 year low before showing some signs of stabilization. We expect market conditions to remain challenging through the remainder of 2015. Moving to slide 5, in the first quarter of 2015 we curtailed production and sales were met from our existing coal stockpiles to preserve liquidity. Sales were just 0.18 million tons compared to 0.37 million tons in the fourth quarter of 2014. Our average realized prices decreased to $12.66 per ton compared to $15 per ton in the fourth quarter of 2014 due to declining coal prices and the less favorable product mix. We saw less [indiscernible] coking coal and more thermal coal products in the first quarter compared to the prior quarter. As a result revenue decreased $1.6 million in the first quarter compared to $5.1 million in the fourth quarter of 2014. Cost of sales were $17.7 million this quarter compared to $19.8 million in the fourth quarter, operating expenses which primarily reflect direct mining cost of product sold were $1.9 million in the first quarter compared to $3.9 million in the fourth quarter of 2014. The decrease was the result of firstly the lower variable cost which are linked to reduce production volume and secondly the continued focus on cost saving initiatives. Other cost of sales primarily depreciation expenses for ideal equipment's and other ideal mining asset cost were $17.7 million in the first quarter of 2015 compared to 19.8 million in the fourth quarter of 2014. Other operating income in the first quarter was $1 million consisting primarily of foreign exchange gains. Administration expenses were $1.4 million in the first quarter compared to $1.9 million in the fourth quarter of 2014 reflecting our continuous focus on cost reduction. Overall our loss from operations narrowed to $16.6 million in the first quarter compared to $29.5 million in the fourth quarter of 2014 mainly due to the lower impairment charges we took this quarter. Moving to slide 6, we have continued to improve our cost structure which positions us well for the ongoing wrap up of our operations, we have further reduced direct cash cost of product sold from $11 per ton on average in 2014 to $10.8 per ton in the first quarter as a result of the ongoing efforts related to production cost, improve operating efficiencies and reduce some work force. We expect our cash cost per ton to decline further this year as a result of economies of scale after our production ramps up. We have also further reduced the base of our administration expenses from $2.2 million per quarter on average in 2014 to $1.4 million in the first quarter despite exceptional elements such as the ongoing tax investigations. This reduction was affected mainly in staff cost, legal and professional fees. In 2015 in order to preserve financial resources we continue to limit our capital expenditures only to essential equipment maintenance and critical projects and minimize evaluation and exploration expenditures to those necessary to meet the Mongolian minerals low requirements in respect of our mining and exploration licenses. I will now turn to slide 7, building on our cost reduction achievements we have been relentless in maintaining our focus on liquidity and - difficult market conditions. We have been able to partially offset the adverse impacts by curtailing mining operations in the first quarter of 2015. Securing prepaid sales and focusing on cost reductions and reductions also in working capital. As for financing we completed the private placement with Novel Sunrise and raised $7.5 million in March and April after raising $9 million in December last year with other investors. We will continue to seek additional financing as we embark on our new strategic partnership with Novel Sunrise. The company has developed together with Novel a comprehensive funding plan and is implementing this plan currently to generate sufficient cash flow in the short term so that we can meet our obligations and achieve our business objectives for 2015 and beyond. I will now hand over to Ted who will explain the strategy in further detail. Thank you, Bertrand., Hello everybody, good morning in Hong Kong and good evening to America. This is Ted Chan, Executive Director of SouthGobi I will just give you a brief of the whole strategy in further details. In 2015 we expect to see China's [indiscernible] lower than previous year and hence think that the core market will remain under pressure. With Novel Sunrise being a significant and the strategic shareholder SouthGobi can now leverage our business relation operational and the marketing expertise that Novel has been established. The company will execute the step change improvements in the company sales marketing and the existing capability to expand its customer base in China and to secure financing to reestablish liquidity to meet its obligation and finance its operation. We will continue to improve operational efficiency and reduce cost. Subject to available financial resource, a plan to further development of Soumber Deposit. We will continue to operate in a social responsible manner to maintain the high standard in-house, safety and the environmental performance and are committed to long term development and the prosperity of Mongolia. Despite the current challenging market condition we believe in longer term, we're well-positioned to fill value for our shareholders by combining the market and operating expertise of Novel Sunrise Group with our flexible product offering, substantial resource base, [indiscernible] cost structure and the stressing advantage [indiscernible]. Thank you for the attention and this will conclude our presentation for first quarter results discussion. We will be happy to take your questions. So operator you can start the Q&A session. There are no questions registered at this time. That concludes SouthGobi's 2015 first quarter results investor call. Thank you and have a good day. ULAANBAATAR, MONGOLIA--(Marketwired - May 12, 2015) - KHOT INFRASTRUCTURE HOLDINGS, LTD. ("KHOT" or the "Company")(CSE:KOT) announces that Mr. Larry Van Hatten has tendered his resignation as a director of the Company, effective immediately. The board of directors and management would like to express their appreciation to Mr. Van Hatten for his contribution and wishes him the best in his future endeavours. Don Padgett, Company's president and chief executive officer said, "The Company would like to thank Larry for his professional financial guidance, especially during the early exploration stage of KHOT." KHOT is pleased to announce the appointment of Ms. Erin Chutter as an independent director of the Company. Erin Chutter serves as the President and CEO of Global Cobalt Corp, after founding the company in 2007. Erin has led a multinational and multidisciplinary financial and technical team to develop the Karakul Cobalt Mine Project in Altai, Russia as well as mining projects in Canada and the US. She carries particular expertise in complex international mining projects requiring creative financing solutions. Erin was also a founding Director of Niocorp. Erin is a Director of the MacDonald Laurier Institute, a world-renowned Ottawa-based think tank leading new research on social license and resource extraction, and is the Chair for the Canadian Eurasian Russia Business Association (Vancouver Chapter). In 2011, she was honoured as a "40 Under 40" by Business in Vancouver. "We are delighted to have someone with Erin's experience in international and emerging markets agree to join our Board. This key addition to our entrepreneurial team adds significant value to our Company's compelling business strategy," said Don Padgett. Ulaanbaatar, May 12 (MONTSAME) At the Stock Exchange trades on Tuesday, a total of 80 thousand and 783 units of 16 JSCs were traded costing MNT 265 million 521 thousand and 638.00. "Merex" /56 thousand units/, "Genco tour bureau" /9,680 units/, "Remikon" /7,013 units/, "APU" /3,183 units/ and "State Department Store" /1,344 units/ were the most actively traded in terms of trading volume, in terms of trading value were "APU" (MNT 11 million 241 thousand and 170), "Merex" (MNT four million and 984 thousand), "Merex" (MNT one million and 530 thousand), "Genco tour bureau" (MNT 774 thousand and 400), "State Department Store" (MNT 672 thousand). The total market capitalization was set at MNT one trillion 261 billion 183 million 042 thousand and 333. 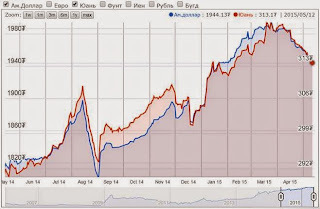 The Index of Top-20 JSCs was 12,805.49, decreasing 0.04% and the all index of MSE was 940.21. May 12 (MSE) On 12 May 2015, 28 weeks Government retail bonds worth MNT243,700,000.00 with 15.529% annual interest rate and 3 year Government bonds worth MNT18,500,000.0 million with 16.875% annual interest traded successfully on primary market at Mongolian Stock Exchange. May 12 (MSE) Board of directors meeting of MSE on April 30th 2015 made decision to reduce the transaction fee on equities trading. By ratifying this decision transaction fee on equities trading will be reduced to 0.15% from 0.4%. This change regarding the transaction fee to be reflected on Securities trading rule of Mongolian stock exchange starts from 15 May 2015 until 15 August 2015. May 12 (Bank of Mongolia) On the Foreign Exchange Auction held on May 12th, 2015 the BOM has not received any bid offers and selling bid offers of USD and CNY from local commercial banks. On May 12th, 2015, The BOM has received USD Swap agreement bid offer in equivalent to USD 60.8 and MNT Swap agreement bid offer of USD 24.0 million from local commercial banks and accepted the offers. May 5 (Bloomberg TV) Mongolia Central Bank Chief Economist Bold Sandagdorj discusses Mongolia's economy and their balance of payment pressures with Bloomberg's Shery Ahn on "Trending Business." May 12 (gogo.mn) Standing committee meetings are scheduled for today. 1. Budget Standing Committee meeting at 09AM at B Hall. 2. Legal Standing Committee meeting at 09AM at B Hall. 3. Application Standing Committee meeting at 09AM at G Hall. 5. Social Policy, Education, Culture and Science Standing Committee meeting at 02PM at B Hall. Ulaanbaatar, May 12 (MONTSAME) Such a draft was presented to the Chairman of the State Great Khural Z.Enkhbold by the Minister of Finance J.Erdenebat on May 11. The amendments concerns the taxation and reporting issues. According to the General Tax Law, the final dates for paying and reporting of any kind of taxation are resolved to be simultaneous, while the Law on Mineral Resources says the entities should pay the quarterly royalty payments within the next quarter and to submit the monthly report by 20th of a next month. As the two regulations contradict with each other, it puts more burden on the tax authorities, as well as on the tax-payers, said the Minister. Therefore, the draft amendment to the Law on Mineral Resources has been developed for resolving these conflicting issues and for harmonizing the clauses of the law with the General Tax Law. In brief, the tax paying and reporting periods will be set on the same dates. Ulaanbaatar, May 12 (MONTSAME) On May 11, the Minister of Energy D.Zorigt MP submitted a draft parliamentary resolution to the Speaker Z.Enkhbold on adopting a state policy on Energy. Based on the analysis on the current status of the energy sector, pressing issues and potential solutions, the draft sets out 6 goals, 26 objectives and three priorities, and provides dates for their implementation as follows: first stage is to be implemented in 2015-2023, and second – in 2024-2030. The Minister said this draft has been developed on the motives that the legal documents regarding energy sector should be refined, considering the rapid growth in economy and society, intensification of market communications, legal reforms in investments, and activation of domestic and foreign investors. Ulaanbaatar, May 12 (MONTSAME) At its meeting on Monday, the cabinet decided to submit to parliament a bill on supporting an industrialization. The bill has been based on a key concept of ensuring a stability of the national economy, and aims to regulate relations in supporting the manufacture of globally competitive, valuable and environmentally-friendly products by putting agricultural and mining raw materials into circulation. The bill contains a clause on granting a single-benefit soft loan to export-oriented national companies with a payment term of ten years, and on giving state aid to those companies that introduce high productive progressive technologies. The bill has been worked out due to requirements of maximizing the capability of processing manufacture and increasing technological contents of export and value-added products. The total production of industrial goods made up 30.3% of the national GDP in 2013, reaching MNT 9.8 trillion. The major amount of the growth is related to products with less technological contents, based on mining and agricultural raw materials. Meanwhile, a size of processing industries made up 8.3% of the GDP. Although the export has went up by 35.2%, most of the export goods (97%) undergo a first-step processing with less technological contents. Ulaanbaatar, May 12 (MONTSAME) The Minister of Justice D.Dorligjav Monday submitted to parliament a draft amendment to the law on prosecutor body. The very first law of the same kind was adopted in April of 1993 in accordance with a concept of the Constitution and tendencies of the social development. In was amended 2002 in connection with reforms in the legal system and changes in social relations. Since then, it has been altered eight times. This time's alteration is explained by a submitting of to parliament draft amendments to other key laws regarding a program on accelerating the reforms of court authority, reforms in court judiciary bodies, changes of social relations and criminal procedures, the Minister says. The new draft amendment aims to make basic principles of prosecutor organizations' actions and legal terms more precise, to co-ordinate them with draft criminal laws and resolutions, which have been submitted to parliament within the legal reforms, and to create proper conditions for prosecutors to work. It also reflects responsibilities to be imposed upon those prosecutors who do not fulfill their duties, the Minister says. Ulaanbaatar, May 12 (MONTSAME) This draft was submitted to parliament by the Minister of Justice D.Dorligjav on Monday. The Minister says it has become vital to remove some obstacles that hinder in implementation of a law, which came into force on January 1 of 2014, and to alter the law's clauses due to a policy change. By the draft he wants to regulates the rules of using force, special tools and arms by the police in accordance with standards of the UN Human Rights in order to ensure the public security, the Minister explains. He has formulated the draft under some resolutions adopted by the UN General Assembly and international regulatory documents, he adds. Ulaanbaatar, May 12 (MONTSAME) The Minister of Population Development and Social Welfare S.Erdene MP Monday submitted to the Speaker Z.Enkhbold draft laws on children's rights and on children's protection. The Constitution lays down a state protection of rights of families, children and infants, moreover, Mongolia joined the Convention on the Rights of the Child in 1990, "but kinds of violence except in the educational environment are still not legally banned", the Minister said. "So it has become urgent to adopt a new law on children's protection although there is the same law which has been implemented some 20 years, but it seems to be more material-oriented one," he noted. He went on that, in conjunction with formulating the new draft law on children's protection, a bill on children's rights has been worked out with 27 clauses in four articles, which determine children's rights as well as responsibilities, and regulate the relations in power and duties of state organizations, citizens and entities in ensuring children's rights. The Minister added that these bills are submitted to parliament in days of celebrating the 90th anniversary of the organization for Mongolian children. May 12 (gogo.mn) 5,259 vehicles are registered under 823 state owned entities, of which 921 are full size SUVs, 162 mid size SUVs and the total annual cost for their maintenance was at MNT 59 billion in 2014. During the cabinet session held yesterday the list of the state officials authorized to use the vehicles for the work purposes and the categories of the vehicles purposes, such as position, work, on-call services and field trip. According to the resolution state officials are allowed to use vehicles with 3501-4700 сc for the field trips to rural areas, on-call service vehicles with no more than 2500 cc and the limit for the use is set at 70 km per day for the state officials within city, while the limit is 50 km for the civil servants and 40 km for the on-call service vehicles. If the limit is exceeded then the responsible body should reimburse for the fuel and use of the vehicle. State entities funded from the state budget are prohibited to use vehicles with capacities more than 2500 cc. Ulaanbaatar, May 12 (MONTSAME) The Cabinet of Ministers resolved on May 11 to submit to parliament a draft new wording of the Law on Sanitation. The initiators consider that this law should be renewed regarding the current situation in the urbanization, development, industrialization and technological advancements. The draft new wording has been developed on such principles as ensuring of comprehensively the processes for eliminating negative factors harmful to people's health, and setting out prevention methods. If adopted, the law is expected to determine in details the responsibilities of Government, citizens and entities in ensuring the healthy and secure living environment, and to improve a coordination between actions towards this goal ran by various sectors. It will also facilitate a condition where environmental affects harming the human health and sickness rates are reduced thanks to legalized requirements and standards for settlements, housing apartments, buildings, factories and service centers. Ulaanbaatar, May 12 (MONTSAME) The cabinet meeting on Monday obliged G.Shiilegdamba, the Minister of Health and Sport, to complete a working out of a bill on medical aid and service and to have it discussed by the cabinet. The current law on health regulates common relations in protecting people's health, whereas the bill on medical aid and service will regulate a management of phases, types and organizations of medical assistance and services, also the financing, strategic and executive administration for health. The bill has clauses on forming a medical system that ensures a continuation of medical aid and services, expanding a state-private partnership in the medical sector, creating a strategic and executive management structure that supports an independent governance of the medical sector, and making a financing system based on performance. Ulaanbaatar, May 12 (MONTSAME) The cabinet Monday backed draft concepts of draft amendments to the laws on education and on higher education, and then authorized L.Gantomor, the Minister of Education, Culture and Science and D.Dorligjav, the Minister of Justice, to approve the concepts. - The cabinet backed in principle a Mongolia-Japan intergovernmental agreement on humanitarian aid and abolishing aftermaths of disasters, and training collaboration in UN peacekeeping operations. This agreement will be consulted with a related Standing committee of parliament. - Ts.Tsengel was appointed the State Secretary of the Ministry of Environment, Green Development and Tourism, and G.Ganchimeg--the State Secretary of the Ministry of Health and Sport. May 12 (gogo.mn) Since the adoption of the Law on Land Privatization for Mongolian Nationals 44659,73 hectares of land was privatized by 418,671 citizens. 46,693 citizens have applied for land privatization in 2014 implies that the number of interested citizens has increased compared to previous years. · 520,88 hectares of land for commercial use. May 12 (Bloomberg) -- Trade & Development Bank of Mongolia LLC, the nation's largest lender by assets, is reviving a plan to sell dollar bonds after postponing the offering in July due to adverse market conditions. The Ulaanbaatar-based bank is seeking to issue $500 million, Bold Sandagdorj, chief economist at the central bank, said in an interview Tuesday. The five-year government-guaranteed notes may be priced at about 9.75 percent, said a person familiar, who asked not to be identified because the details are private. The government's U.S. currency notes due in 2018 yield 6.22 percent and those maturing in December 2022 pay 6.95 percent, data compiled by Bloomberg show. "It is cheap compared to the sovereign, especially since it's guaranteed by the government," said Gordon Ip, Hong Kong-based senior fund manager at Value Partners Ltd., which had $12.9 billion of assets under management as of Dec. 31. The nation is tapping the debt market before the U.S. raises interest rates and as foreign-exchange reserves dropped 32 percent to $1.32 billion in the 12 months through March. Standard & Poor's downgraded the outlook on Mongolia's B+ rating, which is four levels below investment grade and on a par with Cyprus and Sri Lanka, to negative from stable on April 30, citing pressure from the growing fiscal and current-account deficits. Sri Lanka's U.S. currency securities due in 2020 yielded 5.61 percent Tuesday. Nomura Holdings Inc. recommends investors buy the TDBM notes if the final yield is above fair value of 9.25 percent, said credit desk analyst Gaurav Singhal. TDBM, which is returning to the international bond market for the first time in more than two years, has $300 million of dollar notes due in September, data compiled by Bloomberg show. When it considered selling debt in July, the yield guidance was 11.25 percent before the sale was postponed, a person familiar with the deal said at the time. HONG KONG/SINGAPORE, May 12 (IFR) - Trade and Development Bank of Mongolia is marketing a five-year non-call three US dollar benchmark bond to yield around 9.75%. The 144A/Reg S issue is guaranteed by the Government of Mongolia, but, unusually, pays a hefty 320bp over the interpolated sovereign curve. The expected issue size is US$500m. TDBM earlier cut the size of its MTN programme to US$500m from US$1bn. Moody's and S&P assigned ratings of B2 and B+, respectively, to the proposed bonds. TDBM has a US$330m bond maturing in September, but it will swap the entire proceeds of the new bond with the central bank for local currency. Mongolia and its state-linked entities have several large foreign-currency repayments due between March 2017 and January 2018, As at the end of March, the sovereign had around US$1.3bn in its current international reserves, according to official figures. Development Bank of Mongolia has a US$580m government-guaranteed bond due in March 2017 and a "Chinggis" sovereign bond of US$500m due January 2018. Mongolia also has a Rmb15bn (US$2.4bn) bilateral three-year swap line with the People's Bank of China due to expire in 2017, though it may be extended. Bank of America Merrill Lynch, ING and Deutsche Bank are joint bookrunners on the latest offering. Ulaanbaatar, May 12 (MONTSAME) The Minister of Road and Transport N.Tomorkhuu and the State Property Committee were granted a permission Monday by the cabinet to establish a joint marine transportation company with Korea Marine Transport Co.Ltd. of South Korea. In this, investments from the company and the Marine Administration of the Ministry of Road and Transport of Mongolia will be drawn. The company will base in the Republic of Korea. Our country is making achievements recently in enjoying its right to access the international waters as a landlocked country, also in taking part in the international trades and transport activities through Mongolian-flagged ships. Mongolia facilitated a legal environment for receiving from the ocean resources and conducting marine transports, by joining over 20 international agreements and conventions on marine law and adopting a Law on Ocean Operations and a regulation on Ship Registration. Ulaanbaatar, May 12 (MONTSAME) The cabinet meeting on Monday discussed and then approved a concept of the law on ratifying an amendment to the general rules and convention of the International Telecommunication Union (ITU), adopted in 2010. Head of the Agency of Information Technology, Post and Communication Ts.Jadambaa was obliged to work out the bill on it and to have the cabinet considered it. By the law on international treaty, amendments to general rules and convention adopted by the conference of authorized representatives shall be ratified by parliament. Mongolian joined the ITU on August 27 of 1964. Ulaanbaatar, May 12 (MONTSAME) The cabinet approved on Monday the 37th Aviation Relations Agreement established with the Government of Belarus on September 4 of 2013 in Ulaanbaatar. Such agreements have been concluded with governments of 36 countries. According to the Agreement, the two governments undertake responsibility to appoint one particular airline company to conduct flight, to agree on setting Ulaanbaatar and Minsk to be the key points for conducting flights, and to arrange other flight points in due course, to exempt from taxes the sales income, flight sources, spare parts and fuels. The agreement also sets out the common criteria for international scheduled flights and standard for occupational safety and security. May 11 (Staffing Industry Analysts) Mongolia has become the latest country to ratify the International Labour Organisation's (ILO) Convention No. 181 on private employment agencies, highlighting the growing interest from ILO Members in reaching appropriate regulation for the employment and recruitment industry. According to the International Confederation of Private Employment Services (Ciett), establishing a regulatory framework on employment and recruitment agencies is the first step for countries to be able to take full advantage of the contribution the industry can make to establishing more efficient labour markets. · Controlled and mitigated development of the industry. According to Ciett, the Convention will help level the playing field for the industry and will ensure that only ethical and responsible employment and recruitment agencies are allowed to operate. It will also help rid the industry of unscrupulous recruiters and companies that do not respect workers' rights. May 11 (Architects' Journal) The Gateshead-based practice is up against two unnamed rivals in the race for the prestigious 'Four Seasons' project which will occupy a disused site in the centre of the Mongolian capital. Gradon's design features residential apartments, public spaces, a hotel, shopping mall, leisure centre, skating rink and waterpark. A conference facility, offices and medical centre will also be included. Gradon opened a studio in Ulan Bator at the start of this year. The firm is already working on the city's £20 million Tuguldur Shopping Centre project. May 12 (MFA Mongolia) Minister of Foreign Affairs L. Purevsuren signed Notes of Exchange on projects on establishing Mongolia-japan teaching hospital of approximately MNT131.0 billion, and on Human resource development scholarship of MNT 4 billion between the Government of Mongolia and the Government of Japan. With the goal of preparing skilled medical staff and improving medical services, the establishment of the Teaching hospital will offer a holistic solution to the process of providing medical education as well as improving the medical services from the Government. The Human resource scholarship from the Japanese Government is an important program for educating the promising young civil service workers in Japanese universities. The program's goal is to support the development of human resources in countries who have transitioned into market economy. The project has been running from 1999 in 11 countries, Mongolia, Indonesia, Philippines, China, Laos, Uzbekistan, Cambodia, and Vietnam. Mongolia has been implementing 13 projects under the Scholarship program since 2001. 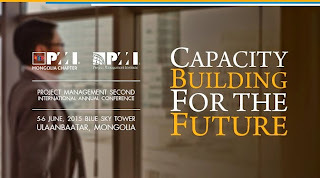 With the program, human capital is being prepared in essential fields of Mongolian development, including law, economy and public administration. This year, 18 civil service workers will study in post-graduate degree programs in Japanese universities. May 12 (gogo.mn) Delegation led by City Council Representative, Head of the Health and Food Safety Sub-Committee J.Amarsanaa have conducted inspection on the quality of the Lunch Program being conducted at the secondary schools. The delegation includes officials from City Council, City Special Inspection Authority, City Education Department, City Health Department, City Health Institute and specialists from the Ministry of Health and Sports. They have chosen to inspect one school in the city center and school No 79 from the remote city area. J.Amarsanaa on the inspection of the schools said that the delegation chosen the schools on purpose and the investigation results showed that no significant difference was noticed in the quality of the Lunch Program food for school children in city center and in remote areas of the city. Mostly children are served juice and cream soup during their lunch and the cost per lunch is at MNT 600, which is not enough to deliver nutritious food according to the school management. The law states that Lunch Program should provide 15 percent of the daily nutrition, but the investigation resulted that the lunch served in secondary schools are short about 100 kcal, which is explained by the lack of proper funds. The initial cost equal to MNT 600 includes only the ingredients for the lunch, while in reality there are additional costs associated with preparation of the lunch which includes fixed costs for the chef, electricity andrent. As such school management explain that budgeted MNT 600 now includes all that cost. -Does it mean that the budget per lunch should be increased from the current MNT 600 or there should be changes conducted in the process of preparing the lunch? -It would be proper to increase the MNT 600. There is real difference in quality of life for the kids studying in city center and kids studying in the remote city areas. Director of School No 79 mentioned that most of their kids receive the majority of their daily nutrition from the Lunch Program. Therefore, if the situation is real then it is social responsibility to increase the budget for the school lunch. While students attending schools in the city center are having better quality of life, therefore it is proper to increase the lunch budget in targeted areas, whereas incleasing it overall. But this issue is not under City Council, the decision making body here is the Ministry of Education, Culture and Science. Therefore, it is our responsibility to report on the real conditions and deliver suggestions on targeted actions to the ministry. -What violations were revealed during the inspection? -Violations were mainly in the kitchen of the schools where the food is prepared. Major violations were lack of proper food storage standards, chefs were not using the food gloves when preparing the food. The most serious violation was the use of the trans fat in preparation of the food. It is proven that the use of trans fat hugely damages health and it is being used daily in school lunches. Trans fat leads to cardio-vascular diseases, which have become one of the top reasons for death in Mongolia. There is need to ban the use of trans fat in school food. Moreover the Minister of Health order No 207 clearly states that use of sweets in school meals, two schools we conducted the investigation both violated this order. -The use and sell of the sweetened products has long been in the practice with the schools? -It could be a norm. But there is real need to ban the use of sweetened products at schools. It is also counts as a violation to not adhere to the Minister Order. City Council ordered to all schools and kindergartens to adhere to the Orders of the Minister of Health. If the violations are registered the harsh measures will be taken against the school management or the responsible bodies. Studies show that the oral health of the children is not good at all and prevailing conditions are dental problems. The main reason is the excessive use of sweets and the school should not be a place that contributes to bad health. Moreover, schools sell energy drinks, which have high amount of ingredients llike caffein and other additives that may lead to addiction to substances. In order to stop this we are sending out official letters of notice on banning the sell of those drinks. -There were several instances with food poisoning in the city as well as in the rural areas of the country. Were there any guarantee that those would not be repeated? -Those violations can be avoided through the constant and sudden investigations and with the monitoring of the safety standards to be adhered when handling the food at schools. -What is planned for the promotion of the food safety for the city residents? -Foremost is the indication of the calorific qualities of the food that is offered on the menu in all food serving entities in Ulaanbaatar city. It is evident that city residents either overeat or do not receive their daily nutrition. We are working on the standards for the food service entities to include the calorific value of each food listed on their menus. Following that we are to indicate that the fat constituent of the food should not exceed 30 percent of the total calories stated in one portion. This standard is to be introduced very soon so that the food service entities should be starting their preparations as well. This measure is directed at decreasing the cardio-vascular diseases among the population. May 12 (Minister for Foreign Affairs, Australia) The 2015 Budget is part of the Australian Government's plan to build a strong, safe and prosperous future for all Australians. This is the single largest expansion of Australia's diplomatic network in forty years. The aid program will reflect the different development and economic trajectories across the region and will continue the Government's commitment to development in the Pacific and building economic partnerships across Asia. Ulaanbaatar, May 12 (MONTSAME) At its meeting on Monday, the cabinet discussed intergovernmental agreements to be established with India in cooperating in some sectors. First, the cabinet decided to issue an order of PM on authorizing L.Gantomor, the Minister of Education, Culture and Sciences, to sign a Mongolia-India intergovernmental agreement on cooperating in the cultural sector in 2016-2020. An order of Premier will also be issued to authorize N.Tomorkhuu, the Minister of Road and Transportation, to sign an intergovernmental agreement on aviation ties. In addition, the bilateral intergovernmental agreements will be established on collaborating in spheres of health, dairy production, traditional medicine, homeopathy, in founding a training center of cyber security at Mongolia's Ministry of Defense. The PM's orders will be issued to authorize related Ministers to ink these documents. The cabinet also backed a Mongolia-India intergovernmental agreement on convict-sharing. This matter will be consulted with a relevant Standing committee of parliament. May 12 (infomongolia.com) The regular Cabinet meeting of the Government took place on May 11, 2015 and one of the issues resolved was agreed to build an India-Mongolia Secondary School in Mongolia. Accordingly, the Minister of Education, Culture and Science L.Gantumur is authorized to ink the Memorandum of Understanding between the two Governments on building the Mongolia-India Friendship School. The School will be open and accessible to all under flexible training program based on the capacity of each child and will be provided with an opportunity to develop personal and professional growth. The Mongolia-India Friendship School Curriculum will be featuring both countries' secondary education programs and in addition to complying with international best practices. Moreover, the construction of the School and its surround infrastructural environment will be financed by the Government of the Republic of India and the Mongolian Government to allocate affiliated privileges in accordance with the relevant laws and regulations. To recall, the Prime Minister of the Republic of India, Narendra Damodardas Modi will be paying the first Premier-level state visit to Mongolia on May 16-18, 2015. May 12 (infomongolia.com) On May 11, 2015, the Heads of State of the Republic of Bulgaria and Mongolia made a joint statement after witnessing a signing ceremony of bilateral documents. In his statement, President of Mongolia Ts.Elbegdorj noted, "Bulgaria has a great experience in pharmaceutical industry and our two countries are discussing to build a joint pharmaceutical factory in Mongolia. Moreover, Bulgaria is well practiced in solar, wind and hydro-electric power stations as well as in food industry. Therefore, we anticipate to seek opportunities in developing these sectors and in order to forward, Minister of Food and Agriculture R.Burmaa will soon to have a working to Sofia. Also, we plan send the Mayor of Ulaanbaatar E.Bat-Uul to Bulgaria to get familiarized with the country's metro practices, which is well known for building in short term and cost effective. Consequently, the visit of the President of Bulgaria, Rosen Plevneliev will restore the frozen relationship of recent years and obviously to stimulate the cooperation". - A Memorandum of Understanding on Cooperation between the Ministries of Foreign Affairs of the two countries was signed by Minister of Foreign Affairs of Mongolia, Lundeg PUREVSUREN and Deputy Minister of Foreign Affairs of Bulgaria, Valentine Poryazov. - An Agreement on Providing Technical Assistance in Agricultural Sector was signed by Minister for Food and Agriculture of Mongolia, Radnaa BURMAA and Deputy Minister of Agriculture and Food of Bulgaria, Vassil Groudev. - An Agreement on Granting Scholarships for Mongolian Students to Study in Bulgarian Universities was signed by Deputy Minister of Education, Culture and Science of Mongolia, Buya TULGA and Deputy Minister of Foreign Affairs of Bulgaria, Valentine Poryazov. - A Protocol of Cooperation between the Mongolian Academy of Sciences and Bulgarian Academy of Sciences was signed by the President of the Mongolian Academy of Sciences, Academician, Batbold ENKHTUVSHIN and Advisor to the President of the Bulgarian Academy of Sciences, Stefan Hajitodorov. Today on May 12, 2015, Mongolia-Bulgaria Business Forum is being organized at the Ministry of Foreign Affairs of Mongolia. This Forum between two business sectors is to exchange experiences and discuss about the possibility to establish a joint venture in Mongolia. May 12 (gogo.mn) President of Bulgaria Rosen Plevneliev is paying state visit in Mongolia. Today, Mongolian-Bulgarian business forum is being held at the Ministry of Foreign Affairs. PM Ch.Saikhanbileg delivered speech at the forum which aims to provide opportunities for mutually beneficial cooperation for both Mongolian and Bulgarian businessmen in the main sectors of trade and investment including mining, telecommunications, information technology and construction sectors. PM Ch.Saikhanbileg expressed his gratitude to delegates of the visit of the President of Bulgaria and expressed his hope for both Mongolian and Bulgarian businessmen to meet face to face and implement programs which will lead to realistic outcomes in the future. Moreover, he mentioned the three main factors which is help to expand economic and business cooperation between two countries. Historic and high-level political visits are made to restore the economy and business partnerships as well as intensification of cooperation based on mutually beneficial principles. Our two countries have wide opportunity to cooperate on information technology, health, food and agriculture industry. Mongolia is seeking this opportunity as exporting its products to the European Union, Bulgaria, the Russian Federation, the Far East and China. In addition, he emphasized that the Government of Mongolia will support all efforts including strengthening the cooperation between Mongolian-Bulgarian business entities, promoting new investments, domesticating new technologies and marketing. 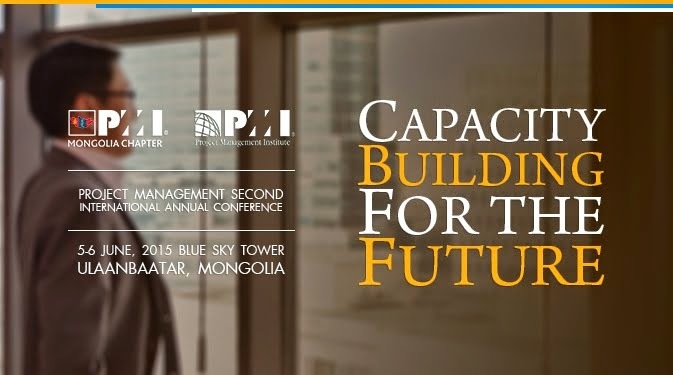 25 businessmen from Bulgaria and over 60 businessmen from Mongolia are attending at the forum. May 12 (infomongolia.com) At the regular Cabinet meeting held on May 11, 2015, it was decided to submit a bill to the State Great Khural (Parliament) on joining the Convention on the Transfer of Sentenced Persons ratified by the Council of Europe. Cabinet members consider that with growing external relations of Mongolia as increasing number of travelers overseas, the Government collaborates with other states for mutual legal assistance and transfer of convicts. Currently, Mongolia has established a bilateral agreement on regulating a transfer of convicts with 7 countries and Mongolia is a part of the 1978 Berlin Convention on the Transfer of Sentenced Persons, which is effective today. But with states did not join the Convention, Mongolia has been undertaking the issue through Diplomatic Offices. The Convention on the Transfer of Sentenced Persons of the Council of Europe includes 47 member states, 28 of which are members of the European Union and in addition with 6 Observer States including Canada, Holy See, Israel, Japan, Mexico and United States. In conjunction, a large number of Mongolian citizens travel to Australia, Japan and the USA and by joining the European Convention it will be providing a legal basis for transfer of sentenced persons with those territories. The ASEM Seminar on Renewable Energy will focus on the theme, ASEM: Mongolia, Country of Renewable Energy. At the 9th Summit in 2012 in Laos, the ASEM Leaders expressed "their commitment to ensure energy security in the regions by promoting energy access and energy diversification through information and experience exchanges and researches on alternative, new, and renewable energy development, as well as energy efficiency and conservation, and the use of affordable environmentally-friendly technologies, particularly for the developing countries. They recognized the importance of engaging all stakeholders including governments, the private sector and other regional and International institutions to contribute to the enhanced use of renewable and other non-fossil energy resources and technologies". It was also reaffirmed at the 11th ASEM Foreign Ministers' Meeting in India in November 2013. The workshop/seminar is intended to provide a platform for the ASEM members' officials and experts on renewable energy to share and exchange their knowledge and insights to explore ways to develop cooperation and assistance among ASEM countries. May 12 (The Asan Forum) Mongolia operates under the geopolitical and economic forces of rising China, reactive Japan and Russia, and retrenching America. It strives to preserve its nomadic, democratic, and Buddhist identities while accommodating currents of Western, Chinese, Russian, and Islamic civilizations. Thus, like other small powers, it faces new opportunities and uncertainties as the over-arching geopolitical, economic, and cultural dynamics shift. This article takes Mongolia as a prototype buffer state, discussing its three options: 1) riding the Chinese high-speed train; 2) accommodating Russia's interests; and 3) embracing Japanese geopolitics. I argue that Mongolia needs to exploit all three options, but it should keep its heated domestic politics out of major economic projects. Despite geographical isolation from proximate regions, Mongolia is politically linked as a member of the United Nations, NAM (the Non-Aligned Movement), G77, ARF and OSCE, while partnering with the European Union and NATO. Its initiative of a nuclear weapons free zone was unanimously endorsed by the five nuclear powers and later spread into Central Asia. Mongolia is the second largest peacekeeping contributor from Northeast and Central Asia after the PRC, while running the only annual peacekeeping exercise, Khaan Quest, which welcomes the militaries of historic and current rival states.1 It hosted the seventh ministerial meeting of the Community of Democracies in 2013 and launched modest Helsinki-type diplomacy by welcoming city mayors, female parliamentarians, and track-II scholars from Northeast Asian states, including North Korea in 2014. It will host the 2016 Asia-Pacific Europe Meeting (ASEM), as it is fighting to join APEC and to become a dialogue partner of ASEAN. For a country with a meager population, its diplomatic role is impressive. Yet, Mongolia's wide-ranging political ties do not result in diverse global and regional economic links. About 90 percent of exports are China-bound, while Mongolia relies heavily on Russian fuel and oil products. In spite of much economic liberalization, diversification, and integration rhetoric in Ulaanbaatar, it is economically a regionless state. A long-lasting peaceful neighborhood, abundant natural resources, proximity to East Asian markets, and ideological appeal to developed economies do not satisfy its aspirations for global and regional economic connections. To be sure, there are on-again, off-again discussions with neighbors and western investors about trans-Mongolian railroads, pipelines, roads, grids, logistics hubs, and economic corridors, but none of these proposals has been realized, mostly due to Mongolia's "crabs in a barrel" type of politics, the conflicting interests of its neighbors, and global market dynamics. Even so, as regional power dynamics shift, opportunities may be emerging for an economically isolated small power, such as Mongolia. The prospect that the door is open to new initiatives guides this article, despite awareness of multiple challenges. Events in 2014 reveal the new regional power dynamics. While acknowledging the importance of economic interdependence, China and the United States have avoided direct confrontations, but apparently are preparing for strategic uncertainties. China and Russia, despite traditional mistrust, are committing themselves to an unusual, long-term, strategic partnership, confronting the United States and its allies as they expand their geostrategic assertiveness in the eastern littoral and Eastern Europe respectfully. They also struggle to suppress secessionist movements in their restive regions, while worrying about Islamic extremism as the United States withdraws from Afghanistan. Under these circumstances, China and Russia need to keep their strategic rears—Central Asia, especially Kazakhstan, Kyrgyzstan, and Tajikistan, Mongolia, and North Korea—as neutral, stable, and peaceful as possible. Even though they see economic integration, in general, as a solution, Russia does not want to lose its "privileged status" in Mongolia and Central Asia through integration that centers on China, and Mongolia faces the dilemma of yielding to its neighbors' influence in order to become economically connected to wider markets. This is similar to dilemmas faced by other landlocked small states. Apart from reaching out to Japan, Mongolia has limited options, but that does not mean it cannot benefit from strategizing about the possibilities that are appearing. Mongolia is a prototype buffer state. Like Finland and Poland in Europe or Kazakhstan in Central Asia, Mongolia sits between two traditional rival states, maintains an independent statehood and possesses lesser economic and military capability than its neighbors do. Nevertheless, a buffer state bears strategic importance either to upset the balance of power or to facilitate constructive interactions between buffering rival states. In contemporary international relations, a buffer state can choose among three main strategies: 1) institutionalizing its neutrality; 2) leaning to one of the buffered powers; and/or 3) relying on third powers.2 In the post-Cold War period, Mongolia has pursued the first and third strategies. Mongolia institutionalized its neutrality and non-alignment unilaterally through its 1992 Constitution and its National Security Concept and Foreign Policy Concept as well as domestic laws; bilaterally with China and Russia by concluding friendly relations and cooperation treaties; and multilaterally through the United Nations and other international organizations. As a result of its non-alignment policy, Mongolia along with another non-aligned state, Turkmenistan, has remained outside of the Shanghai Cooperation Organization (SCO). Even though Mongolia's reliance on third powers is constrained by its geographic isolation and lack of historic, cultural, and economic ties, it has pursued a soft-balancing strategy of reaching out to distant powers, namely the United States, Japan, Germany, and India.3 Democracy and peacekeeping have been the main currencies in Mongolia's appeal for political, economic, and cultural support from these powers. Mongolian democracy has never regressed, while its military is making steadfast contributions to US and NATO operations in Afghanistan, Iraq, and Kosovo. But, in reality, Mongolia has very limited geo-strategic and economic value, not only for its neighbors, but also its so-called third neighbors. Unlike Kyrgyzstan, Mongolia is far away from land and air routes to South Asia and the Middle East. It neither poses a nuclear/conventional threat nor raises refugee concerns for major powers, as North Korea does. Despite its cultural ties to Central Asia and the Xinjiang Uyghur region of China, Mongolia is not considered relevant to Chinese, Russian, and American military campaigns against religious extremism. Similarly, Mongolia is economically less attractive for major powers because it does not possess large oil and gas deposits, it lacks the supporting infrastructure for mineral exploitation, and it is not seen as providing a stable political and regulatory environment for foreign investment. But, these conditions in the post-Cold War setting are, arguably, about to change. China has started proactively pushing a series of potentially transformative regional initiatives, while the United States, Japan, and Russia are reacting, making strategic adjustments in their own policies. China is institutionalizing a "new type of major power relations" with the United States, while deferring, to some degree, to the interests of other major powers, especially India and Russia, and implementing renewed peripheral diplomacy to its neighbors.4 These proactive moves, presumably, will enable China to prevent conflict with the United States, reduce misperceptions or confrontation with regional challengers, especially India and Russia, and increase political, economic, and even security dependency of smaller neighbors on China. Whereas a China-centric economic order has already become a reality, a China-centric regional political and security order is still being pursued. In reaction to Chinese moves, the United States has reinvigorated its maritime strategy with special focus on the Asia Pacific region, reassuring its allies and reinforcing its hedging strategy against China's military buildup. Despite its domestic economic troubles and geopolitical distractions in the Middle East and South Asia, the United States is gradually retrenching from the Eurasian heartlands while consolidating its capabilities in the maritime Asia-Pacific (Indo-Asia-Pacific region).5 At the same time, a key ally, Japan has begun to advance its global and regional influence under Prime Minister Abe's watch. "Abegeopolitics" appears to be responding to US retrenchment and also to China's attempts to institutionalize the China-centric order.6 Russia is also re-visiting its strategy in the Asia-Pacific region to reassert its major power status, while developing Siberia and its Far East region, and to integrate with China's economy and other East Asian economies too.7 Russia's 'Look East' strategy gained momentum as tensions with Ukraine escalated in 2014 and its eagerness for political and economic partnership with China has risen to counter Western economic pressure. Although China is its key partner, Russia has been attempting to diversify its economic interactions with other Asian states, i.e., Japan, South Korea, India, and Vietnam, as well as to maintain its "privileged status" in Mongolia, the Central Asian states, and North Korea. The new dynamics of the major powers have already begun to affect Mongolia. Last year, during President Xi Jinping's visit, China included Mongolia in its list of comprehensive strategic partners with which to develop "win-win" relations in all areas of cooperation.8 So far, Chinese leaders have not expressed any concern about US support for Mongolia's democracy, while they have often acknowledged Russia's special relations with it. Therefore, Mongolia is not a proxy state for rivalry with either great power. Concurrently, Russia is attempting to revive its ties with Mongolia. President Putin visited several times during the 2000s. Although Mongolia, unlike Kazakhstan or North Korea, is not geopolitically and economically significant, Russia is pressuring it to become an SCO member, to join in the Eurasian Economic Union, to reject both Western and Chinese involvement in its uranium mining and railways, and to gain "privileged" access to major mining and infrastructure projects in Mongolia. In 2014, Putin celebrated the victory against Japan in 1939, endorsed closer military-to-military cooperation, and approved long overdue visa-free travel with Mongolia.9Compared to China, Russia is more assertive and more focused on regional rivalries. The emerging constructive, albeit cautious, interaction of major powers opens a new set of opportunities as well as challenges for a buffer state such as Mongolia. It certainly appreciates how an over-arching, stable external environment would facilitate the country's desire to become an economic corridor and serve outside integration. Mongolia now must weigh three opportunities to expand its economic linkages: 1) capitalizing on China's economic power and growth (bandwagoning) for East Asian linkages; 2) accommodating Russia's assertive behavior for more European linkages; and/or 3) balancing with Japan and its allies for global linkages. The China Option: "Boarding the Chinese Bullet Train"
Another change was Mongolia's request for China's support in realizing its foreign policy objectives, especially for membership in APEC and the East Asia Summit and participation in such emerging regional frameworks as the China-Japan-South Korea trilateral grouping, the Silk Road Economic Belt initiative, and the Asian Infrastructure Investment Bank, while also asking China to help to implement Mongolia's Ulaanbaatar Dialogue, Helsinki-type initiative for Northeast Asia. At the same time, Mongolia also seeks Beijing's assistance in promoting itself as an economic corridor between China and Russia through trans-Mongolian railroads, roads, pipelines, and grids. Mongolia is used to looking for support from its "third neighbors" to implement its foreign policy objectives. Now its foreign policy is shifting to its real neighbors and the architecture for Northeast Asia. These changes could be explained differently from Chinese and Mongolian perspectives. For China, its strategy appears to be driven by a geopolitical rationale for sensitive terrain used by rival powers. The withdrawal of the Russian political, and especially military, presence from Mongolia was one of the conditions for Sino-Soviet rapprochement. Today, US, Japanese, and Indian political and security engagements with Mongolia could be perceived by Beijing as part of their democracy promotion or strategic encirclement strategies. At the same time, Mongolia serves as an influential signaling post for leaders to project a benign, peaceful, major power image. China concluded a border treaty with Mongolia while conducting the Sino-Indian war in 1962. President Hu Jintao started his first foreign travel from Mongolia in 2003, and Xi Jinping repeatedly expressed the importance of a win-win principle in China's neighborhood diplomacy during his visit in 2014. Xi became the first Chinese leader to publicly state in Ulaanbaatar that "China will respect Mongolia's territorial integrity, independence, and developmental choice forever. "16 Under this geopolitical rationale, China's policy has been progressive, tolerant, and particularly accommodative to Mongolia's requests. Besides Mongolia's economic importance for the Inner Mongolian Autonomous Region (linking to Tianjin port), China has limited economic interest in Mongolia. From the Mongolian perspective, changes are driven mostly by economic need. China is the closest market and also the shortest gateway to East Asia. Whereas Russia has basically closed its market to Mongolia and not considered its requests for preferential tariffs and access to Russian transit facilities and ports, China has been accommodating its need for transit facilities, visa-free travel arrangements, and markets for meat products. Following the normalization of Sino-Mongolian relations, China offered 30-day visa-free travel while Russia imposed visa requirements for Mongolian travelers. This arrangement has basically changed the travel patterns for Mongolians given shorter travel hours to Beijing than Moscow, more access to foreign embassies not present in Ulaanbaatar, and the multiple airline and rail connections that Beijing offers. Russia closed its markets for Mongolian meat exports, while China recently opened its. Mongolia needs to be part of the Silk Road Economic Belt and the Asian Infrastructure Investment Bank. Otherwise, it would remain isolated from sub-regional economic integration bypassing it through the Russian Far East on the east and Kazakhstan on the west. Overall, China is the most available option to connect with Chinese, East Asian, and even Central Asian economies. It will remain supportive of closer ties to project its benign, peripheral diplomacy, to neutralize the influence of its strategic rivals, and to attract Mongolia to its regional order. However, a few factors complicate the China option. First, more Chinese developmental investment will increase the presence of Chinese nationals (mostly male labor), which could easily provoke a historic, nationalist, and protectionist backlash in Mongolian society. Second, the infusion of money through Chinese FDI would complicate the ongoing anti-corruption campaign in Mongolia, unless the Chinese government increased its scrutiny over investment, businesses, and projects. This would trigger public discontent and media outrage over Chinese investment along with domestic corruption. Third is the Russia factor. Unless enmeshed in domestic turmoil and/or major external conflicts, it would not stand still for rising Chinese influence in Mongolia at the expense of its traditional geopolitical and economic interests. The Russia Option: "Accommodating Traditional Interests"
The Russia option requires Mongolia to compromise to accommodate its traditional geopolitical and economic interests. Russian political and economic elites want their old privileged status in Mongolia, which is not supported by their Mongolian counterparts. In general, Russia's relationship with Mongolia is ad hoc and reactive mostly to geopolitical contexts. Russia asserts its influence in Mongolia when it perceives a threat from its rivals, earlier Japan, but now China and the United States; however, it is the only potential partner to check China's influence while reviving its role as a traditional trading partner and a gateway to Europe. Although Russia abandoned Mongolia in the late 1980s, it maintains leverage, providing about 90 percent of Mongolia's fuel imports and a significant portion of the electricity to Central and Northern Mongolia. A shortage of either could upset Mongolia's economy, society, and politics. It co-owns the trans-Mongolian railway, the Erdenet copper and molybdenum factory, and the Mongolrostsvetment fluorspar factory. All three joint enterprises, especially the railway and copper factory, are vital for Mongolia's economy; therefore, Russia retains the ability to be a game-changer for Mongolia's strategy and policies. In the post-Cold War period, Russia's policy toward Mongolia has been more consistent with its traditional geopolitical calculations than any economic rationale. Mongolia's requests for reviving bilateral trade and upgrading joint ventures were simply ignored, while Russians should be partially blamed for the delays in the major mining and infrastructure projects discuss in Ulaanbaatar. From 2000, Mongolia was included in Putin's strategy to revive Russia's traditional great power image by re-engaging in its traditional geopolitical strongholds in Asia. Putin visited Mongolia and North Korea in 2000 and Vietnam a year later. Russia solved the Soviet-era debts with Vietnam and Laos in 2001, Mongolia in 2003, and North Korea in 2012. Its debt solution with Mongolia came right after Mongolia's military deployment to Iraq from 2003 as well as increased American assistance to Mongolia. Moscow intensified political and military exchanges, including the provision of military hardware and the start of bilateral military exercises. In 2008, Russia demonstrated another mostly geopolitically driven reaction, rejecting the use of US assistance (USD 188 million) to increase traffic and efficiency on the Mongolian railway.17 Instead, it agreed to a joint company, Mongolian Infrastructure Development, and provided Russian engines and trucks. Since then, Russian officials and state-affiliated oligarchs have been actively and openly engaged in heated railroad debates on whether to connect to the Chinese railway first, following efficiency logic, or the Russian Pacific railway, in accord with diversification logic, and whether to use Russian gauge or Chinese gauge in railroad extension projects. As a result, Mongolian railroad expansion remains hamstrung, much as the situation in Kyrgyzstan. Besides Russia's engagement in defense, railroads, and uranium, state-affiliated oligarchs have expressed an interest in major mining, infrastructure, and banking projects. After the Mongolian government began the bidding process for operating the largest coking coal deposit, Tavan Tolgoi, Russians established a joint venture with Mongolia and managed to be included in the multinational consortium, which includes China's Shenghua Energy and American Peabody, in 2009. Because of Japanese and South Korean complaints, the bidding process was cancelled and resumed again in 2014. Russia proposed in 2008 to operate 100 gas stations, but the proposal was immediately declined in the protectionist and nationalist atmosphere in Ulaanbaatar. Because Russian elites seek "privileged status," new business deals or projects in which Russians express interest are delayed. There were some changes in Russia's attitude towards Mongolia in 2014. First, for the first time, it agreed to join a trilateral summit initiated by Mongolia in Dushanbe.19 Second, at Mongolia's and also Russian republics' request, Moscow agreed to resume visa-free travel arrangements between Mongolia and Russia.20Third, Rosneft chief Sechin visited Mongolia and agreed to build a pipeline to a new oil refinery, concluding a five-year supply agreement.21 Finally, Russia for the first time welcomed a Mongolian military contingent to a victory parade in Moscow. However, Russia has remained silent on Mongolia's request to build a trans-Mongolian railroad, roads, and pipelines, to open its market to meat products, to reduce transit tariffs, and to increase Mongolia's share of joint ventures, especially the trans-Mongolian railway. Russia supports bilateral military cooperation, especially an annual military exercise, and it now pressures Mongolia to join the SCO and Eurasian Economic Union. Despite sympathy for Ukraine, Mongolian discourse has concentrated on taking advantage of Russia's shifting economic interests to China and Asia, not on European issues. With public opinion generally positive toward Russia, Russia is still considered an important, even inevitable, option to reach the Russian and European economies, but there are complications. First, Moscow does not want to reduce its influence, whereas Ulaanbaatar does not want to grant it "privileged status." Any Russian bullying to include Mongolia in its "new cold war" order would push Mongolia into the Beijing-centric regional order, although Mongolia's domestic politics, overwhelmed by short-termism, could neutralize Russian assertive behavior by not locking-into long-term commitments. Second, it is unlikely that Russia would support proposals for Mongolia to become an economic corridor between China and Russia. Russia would rather build natural gas and oil pipelines, railroads, and roads through its Far East to develop its own local economies and lower transit risks. It does not want an increase of Chinese or Western influence in Mongolia, unless all parties accommodate Russian interests. Russia would rather see North Korea as a vital economic corridor to East Asian economies. Third, Russia and Mongolia are now economic competitors; both are trying to reach Chinese and East Asian markets with the same products, e.g. copper and coal. Even if Mongolia wholeheartedly welcomed Russia's involvement in developing its natural resources and infrastructure projects, Russia is unlikely and unable to invest into an economic corridor proposal jointly framed by Beijing and Ulaanbaatar.22 Its state-affiliated entrepreneurs would complicate any major developmental project until either Beijing or Ulaanbaatar accommodated the Kremlin's desire. This makes the Russia option the most complicated one. The Japan Option: A Card of Abegeopolitics? For Mongolia, Japan is the only proximate major power that could potentially serve as an external balancer against a rising China and an alternate source of technology, capital, and markets. On the Japanese side, the relationship seems to be driven by geopolitical and ideological factors. Japan became a strategic partner in 2010 and the first G7 as well as OECD country to enter into a free trade arrangement with Mongolia from 2015. It is another option for global and regional economic linkage. Amid tensions with China and South Korea, Abe's decision to begin his geopolitical and economic offensive from Mongolia was regarded as a "wake-up call" for China in the Japanese and Western media, but warmly received in Mongolia.23 Amid talk about Japan's interest in Mongolia's mineral resources, especially coking coal, uranium, and rare earth minerals, Japanese support for Mongolia is geopolitical and ideological. Abe's first official tours hopscotched across China's worrisome neighbors, including India, Vietnam, and the Philippines. During his visit to Mongolia, the two governments agreed to increased collaboration in many areas, including military-to-military relations. Japan's Ministry of Defense concluded an MOU to expand cooperation in military medicine and peacekeeping operations, especially around the Khaan Quest exercise.24 Japan has been the largest donor for Mongolia's political and economic transition; over 70 percent of its foreign loans and aid have come from Japan.25Assistance to Mongolia is driven by the ideological value of liberal democracy rather than alternatives to war reparations elsewhere. Japan values Mongolia's geopolitical importance as well as its commitment to democracy. Japan and China have avoided open competition over Mongolia. After all, Japan and Mongolia need China to facilitate their relations. Japan has been shown restraint; it advanced mostly cultural and economic (humanitarian/developmental aid) ties while holding back on political and security interactions with Mongolia. Even though Japan is now broadening relations into the political and security sphere, it has not demonstrated any interest in using Mongolia as an outpost for democracy promotion (unlike the US approach) or part of a military encirclement strategy. The Japanese SDF has begun participating in the Khaan Quest exercise, but is limited to peacekeeping and engineering. Mongolia's pro-active diplomacy toward Japan is explained by its soft-balancing strategy and great need for capital, technology, and markets. As US and EU interest in Mongolia declined, Mongolia's third neighbor policy began to lose momentum. Apart from Japan, India and Australia appear to have kept their ties with Mongolia in this emerging order. Despite its long-standing political and spiritual ties, India is geographically isolated from Mongolia, and its partnership remains limited to small-scale military exchanges and Mongolians' holy pilgrimage to Buddha's birthplace in India. Australia is emerging as another important distant player, but its interests are restricted to mining investments rather than political and security ties.26 This makes Japan the primary potential third neighbor in a soft-balancing strategy. Both share historical concerns about China, the values of liberal democracy, and interest in nuclear non-proliferation and human security. Both are also NATO Global Partners. 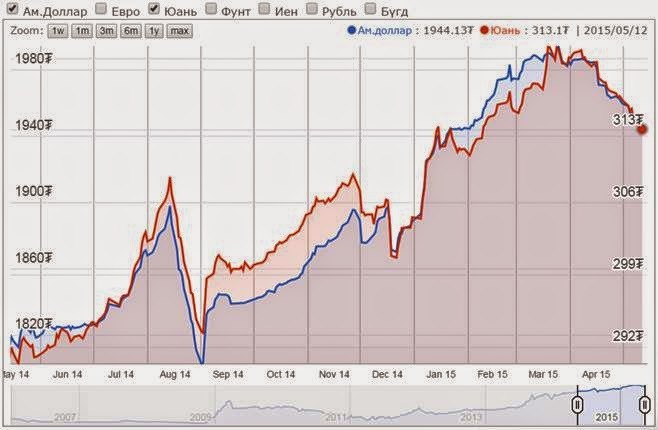 The other driving factor of Mongolia's pro-active diplomacy to Japan is economic. It needs Japanese capital to finance infrastructure—the international airport, exploitation of mining deposits, and industrialization projects, and it has secured samurai bonds and requested ODA. Mongolia needs Japanese technology in urban development, the agricultural sector, and tourism. Japan is considered the most likely buyer of its mineral resources and livestock products. Welcoming the Sumimoto Corporation in the operation of the Tavan Tolgoi coking coal project sets an example. There are other important foundations for an amicable partnership between Mongolia and Japan. Mongolia is the only Northeast Asian state which was not colonized by Japan. Following its own geostrategic calculations, Russia defended Mongolia from Japanese aggression in the undeclared war of Khalkhyn Gol (also known as Nomunhan) in 1939. In the 1990s, the Mongolian government facilitated the repatriation of Japanese POW remains from 16 locations. Unlike China and the two Koreas, it is not concerned with Japanese nationalism, Yasukuni visits, and other war-related matters. Rather, Mongolia supports Japan playing a larger role globally and regionally. Japanese sumo has also contributed to strong cultural ties between the two. Mongolian wrestlers have been in the forefront of Japanese sumo since 2003, numbering four Yokozuna Grand Champions and more than 30 wrestlers competing in five divisions, from makuuchi to jonidan. Mongolians in Japan now constitute the second largest Mongolian diaspora in Asia, after 40 thousand Mongolians in South Korea. Japan has provided extensive scholarships for Mongolian students; over 1000 are studying in Japan. These factors have built a strong foundation for bilateral relations and for Japan as a global and regional linkage. Overall, the Japanese option is critical for Mongolia—to balance against rising Chinese influence, to consolidate its democratic identity, and to strengthen its political and economic engagement globally and regionally. Economic relations are limited, but there is potential given Mongolia's mineral and livestock resources and Japan's advanced technology and expertise. As outlined in the EPA agreements, more focus will be given to agricultural development, mining (rare earth minerals/uranium/coal), and tourism. Regional dynamics are changing as all major powers, including China, are pivoting and readjusting their overall strategies. Because none of the major powers wants a conflict, Mongolia, like many other smaller states, will likely operate in a favorable geostrategic environment, which could provide new opportunities for forging economic linkages. Russia and China want to have their strategic rear Mongolia peaceful and stable while trying to manage tensions elsewhere, to suppress ongoing separatists movements, and to focus on more volatile neighbors in Central Asia. Neither wishes to trigger a security dilemma. China is more eager to offer economic linkages to its Silk Road Economic Belt, while Russia seems to be reluctant until it finds more economic benefits in Mongolia. Within this complicated picture, Japan provides an additional option for Mongolia's economic linkages, but it has to go through Beijing. In this emerging scenario, taking sides would be extremely costly for a small state; Mongolia needs support and understanding from all major powers and to avoid being caught in their geopolitical rivalries. In order to implement pragmatic economic policies, Mongolia needs to put its "crabs in a barrel" type of politics in order. Intensive competition among political parties, factions, and interest groups has resulted in a weak bureaucracy, a vulnerable judiciary, and an unstable legal and regulatory environment. In pursuit of short-term and parochial interests, domestic actors delay developmental projects and attempt to shake up the political landscape even before the four-year election cycle to improve their bargaining position. This intensifies mismanagement of resources, bonds, loans, and debts and undermines the democratic political order. Unless domestic political stability and the rule of law improve, Mongolia's desire for economic linkages will be difficult to realize even if different options are becoming available for linkages to the markets of its neighbors. ULAN BATOR, May 12 2015 (UNISDR) - The head of UNISDR Margareta Wahlström today met with the Prime Minister of Mongolia, Mr. Chimed Saikhanbileg, as the country embarks on implementing the Sendai Framework for Disaster Risk Reduction, the global plan of action adopted in March at the World Conference on Disaster Risk Reduction. Mongolia is also establishing a National Platform for Disaster Risk Reduction, developing a national disaster loss database and has already translated the Sendai Framework into the national language. In his dialogue with Ms. Wahlström today, Prime Minister Saikhanbileg emphasised: "We have the clear intention and commitment to integrate disaster risk reduction into our development plans." The meeting followed a first High Level National Development Dialogue held in the Government Palace yesterday and jointly chaired by the Deputy Prime Minister, Ukhnaa Khurelshukh, and Ms. Wahlström. Mr. Khurelshukh said policy development for disaster risk reduction must be science-based and called for a collective approach from government and non-government actors. The Deputy Prime Minister stressed the importance of a multi sectoral and multi stakeholder coordination mechanism to integrate disaster risk reduction in to development as the country goes about establishing a National Platform for Disaster Risk Reduction. Ms. Wahlström was "pleased to see that Mongolia has taken a lead in beginning discussions on how to implement and make use of the Sendai Framework at national level. "The national system to respond to fight disaster has been built up over the decades and it continues to be strengthened through investment in human capacity and resources for response. The challenge now is to move into managing the risk of disasters, over and beyond managing the disaster event. Prevention is better than cure and definitely more cost effective." She said that as a nation Mongolia has learned from severe winter weather or "dzuds" which have highlighted the country's vulnerabilities. Ms. Wahlström said she was encouraged that the Government is committed to mainstreaming disaster risk reduction and climate change adaptation into sectoral policies and programmes. The UN Resident Coordinator, Ms Sezin Sinanoglu emphasized that our development choices today determine whether we are disaster prone tomorrow. "Disaster risk reduction is a cross cutting multi sectoral challenge and can be fully realized if it is integrated through development", she said. The High Level National Development Dialogue comprised ministers from environment and finance; parliamentarians; the President of the Red Cross Society of Mongolia; and development partners such as The World Bank. The discussion underlined that the political leadership is crucial for risk sensitive investment and coordination is key for coherence among disaster risk reduction, sustainable development and climate change. Ms. Wahlström also took the opportunity of her visit to meet ministers from the Ministry of Environment, Green Development and Tourism; Ministry of Finance; Ministry of Health and Sports; Ministry of Construction and Urban Development; Vice Minister of Education; Deputy Speaker of Parliament; Deputy Mayor of Ulan Bator city; President and Secretary General of Mongolian Red Cross in order to promote further the implementation of Sendai Framework for Disaster Risk Reduction. May 12 (news.mn) Work to change the grass of the Central Stadium to artificial turf began last April, at a cost of 200 million MNT. As stressed by the Director of Central Stadium T.Nyamdavaa, no state funds will be spent for the landscaping work, with only funding from the stadium's shareholders. In addition to the artificial turf, a straightaway for track-and field sports and water run-off pipes are being installed. Shareholders of the Central Stadium submitted a proposal for installing artificial turf to the Naadam Festival Committee and the Mongolian National Wrestling Federation last year. The Mongolian National Wrestling Federation has stated that they will not accept responsibility for any injuries sustained in connection to the artificial turf.